It’s possible that after importing the Harmony animation into the Unity scene, you may want to assign a target to some piece of the animation. For example, in the Space Duck scene, the character has a gun. Perhaps you want to attach some other action, such as shooting spheres and cubes out of the end of the gun. You can see some examples of this in the provided Unity project. The first example in the demo scene is called DemoLocator which shows a simple cylinder attaching to the end of the gun. The second example called DemoCallback shows the gun shooting spheres and cubes. When you set up your character in Harmony, you can access any drawing layer in Unity later and use its pivot point to attach things. For this reason, you should set the pivot points on your drawing layers with the Rotate tool. You can also create an empty drawing layer. Use Create Empty Drawing to create a blank drawing, ensuring that this drawing layer will be exported. Then you can use the Rotate tool to set the pivot point on this drawing layer. In the Space Duck example, an empty drawing layer called hook_gun was created on which you can attach the locator. 1. Select Game Object > Create Empty to add a new GameObject to extract the target's position, rotation, and scale. 2. Drag and drop the new object so that it's a child of the character. Extracting the bounding box information is useful when you want to make something collide with your character. When you put a 2D character into a 3D scene, you may want to use Physics to make the 2D character collide with the 3D plane. To use the following scripts, you will need Unity 4.3 or higher. In the Demo scene, open the DemoPhysics example to see collisions and bounding boxes. In this example, there’s a 3D plane and some 2D characters. The 2D characters have a collision defined with their bounding box, and they're also reacting to the physics of the scene to fall with gravity. Colliders were improved to provide several different types of colliders for use in Unity. You can select polygon colliders and box colliders for a more accurate bounding box. 3. 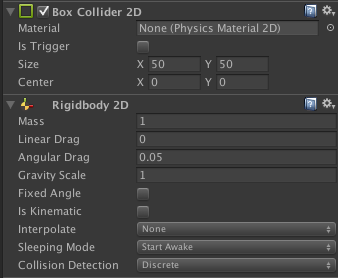 In the inspector, select Add Component > Physics 2D > Box Collider 2D. 4. To enable the Physics on the character, go to Add Component > Physics 2D > Rigid Body 2D. NOTE: You can also use 3D physics on the imported files. You can now adjust the variables and see the results. When you create scene files in Harmony with audio, the audio is exported into the project folder. However it’s important to understand how the game is built to determine the best way to handle audio. 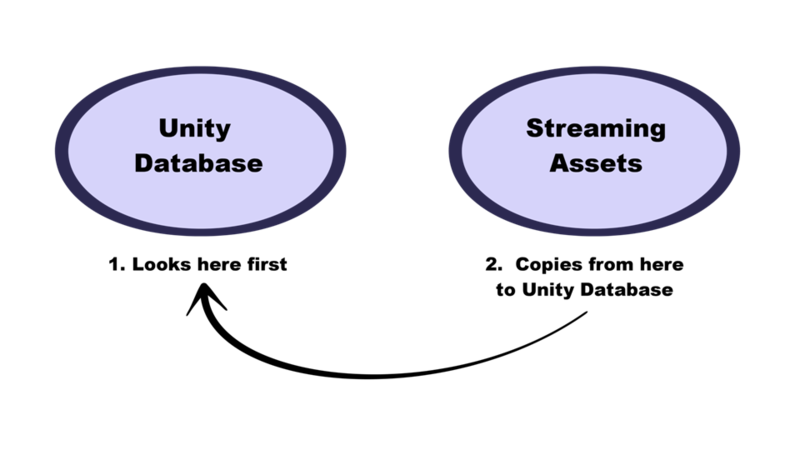 If audio can't be found in the Unity database, then the game looks in the Streaming Assets folder to find the audio. When it does, it copies the audio on-the-fly back into the Unity database. Since this action is quite costly, don’t leave the audio in the Streaming Assets folder for the final game. It’s fine to leave it there while you’re testing, but not for the final game. The audio should be copied back into the Unity database, either manually or by automating this process with a script.